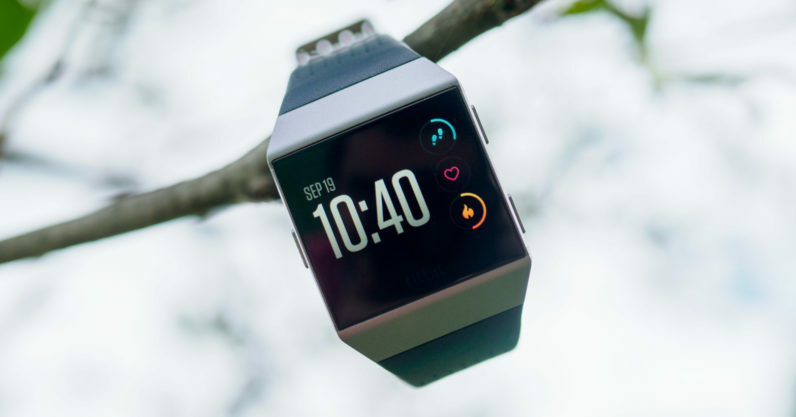 Fitbit’s new smartwatch finally has an official release date: October 1, or this Sunday. The company also announced the Flyer, it’s new headphones, will go on sale the same day. We said we enjoyed the device in our review, but it’s more of a smart fitness tracker than a bonafide smartwatch. Though Fitbit is seeking to expand its app community, the company’s smartwatch features amount to controlling Music, playing Pandora, and using a Starbucks gift card. On the other hand, it’s packed with fitness features, including GPS, a workout assistant, a new and improved heart rate sensor, an oxygen sensor, 50 meter water resistance and 5 day battery life. And though Fitbit’s render’s don’t do it much justice, it actually looks pretty classy in person. If you’re interested in picking up an Ionic, the watch goes on sale for $300 in three color combinations: silver with a blue-gray band, gray with a charcoal band, and burnt orange with a blue band. You can but proprietary replacement bands too, at $30 for silicon or $60 for leather. The Flyer will retail for $130.